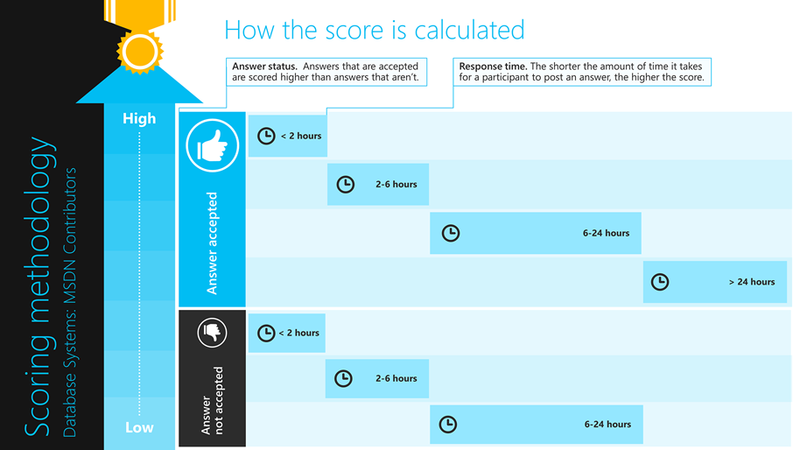 Thank you for your positive feedback on our first leaderboard published last month. 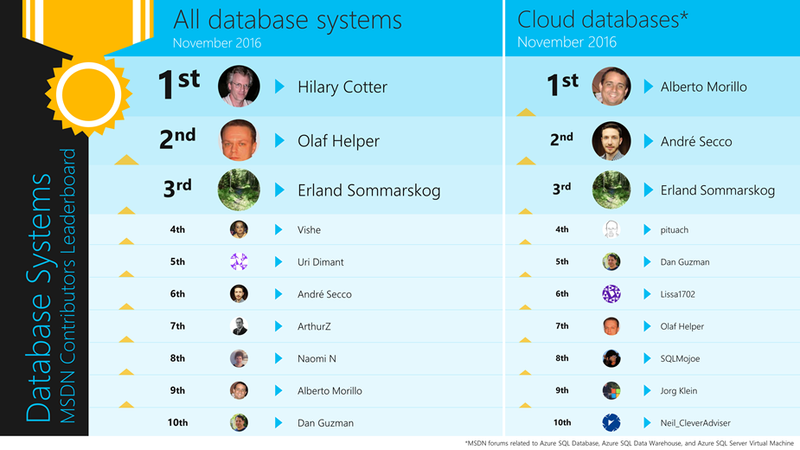 Congratulations to the Top-10 contributors on the November 2016 leaderboard! Hilary Cotter continues his Rank-1 position from last month. Five of this month’s Overall Top-10 featured in last month’s Overall Top-10 as well. Five others are new entrants.